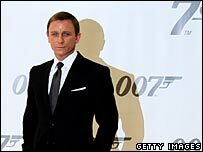 Toymaker Hornby is betting on the latest James Bond film and Shaun the Sheep series to drive sales. The group said it had secured licences to make a range of products based on the two characters. The model railway maker, also known for its Scalextric model racing cars, said it had enjoyed "significant growth" in the pre-Christmas trading period. Sales growth was also strong in Europe, but was less than expected because of delays with new product lines. "A strong finish to 2007 shows once again that Hornby is extremely resilient in times of economic uncertainty," said chairman Neil Johnson. Hornby said it expected orders and sales for the next three months to be greater than the same period last year. The firm, based in the seaside town of Margate, said that sales of its Scalextric racing cars got a boost from a range based on the McLaren Formula 1 team and star driver Lewis Hamilton. A forthcoming Scalextric set will be based on the new James Bond movie, Quantum of Solace, that is due out in November. It will feature Bond's Aston Martin and an Alfa Romeo as the chase car. Hornby said its revitalised Airfix model range would also lead to further sales growth. 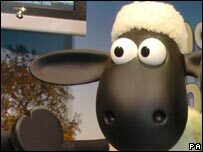 It has already begun producing models based on the hit TV series Doctor Who and has secured the licence for a Shaun the Sheep kit, expected in the summer. Hornby bought the Airfix model kit brand, famous for its detailed reproductions of World War II planes, in November 2006. Airfix - Britain's Next Top Model?